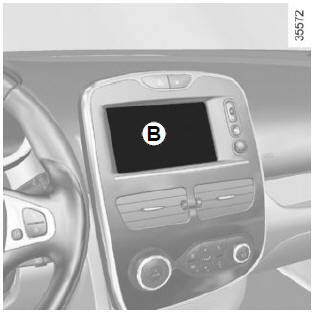 Vehicles fitted with touch-screen multimedia, navigation aid systems, telephones, etc. Refer to the separate instructions for the function to understand the special features of this equipment. Special note: When the exterior temperature is - 3°C to + 3°C, the °C characters flash (signalling a risk of ice on the road). External temperature indicator As ice formation is related to climatic exposure, local air humidity and temperature, the external temperature alone is not sufficient to detect ice.